This is a test, I repeat, only a test. 08/19/16 We have covered canned wine, here are some results of a blind taste test in Chicago. 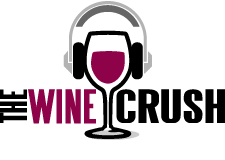 08/19/16 Wine Crush listeners were given a harvest update this week by Morgan Twain-Peterson, Winemaker and Founder of Bedrock Wine Company. Summer squash, arugula and walnuts? Yes Please! Thanks to Food and Wine for a great recipe!